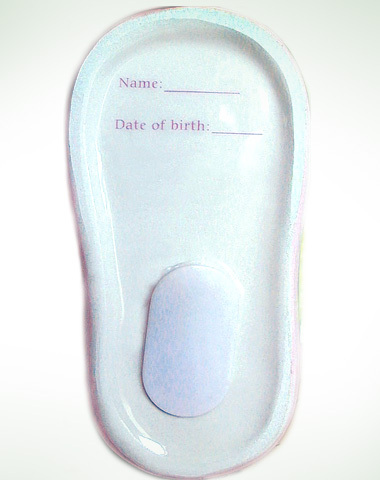 Home > Tender Embrace > Girl Bootie Bank 5"
5"H Ceramic with real satin ribbon. On the bottom of the boot there is a line to add the name of the baby and the date of the birth. 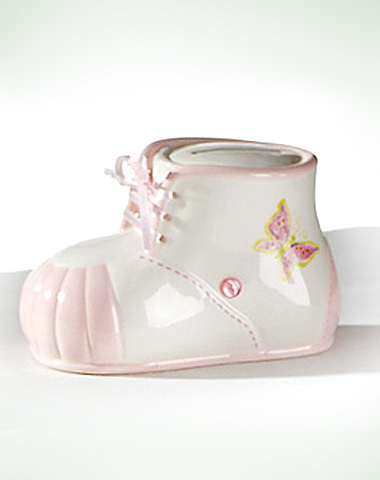 The fully sculpted ceramic bootie bank is so sweet to add to your baby nursery. Laced with real satin ribbon, decal artwork and a buttons. The bank has a coin slot on top and a rubber stopper on the bottom to remove money.You can personalize it as a special gift!